Because of the fact that equipment and components are installed in or connected to the tanks, the tank must be installed in such a way that there is ease of access to the inside of the tank via a properly designed manhole, big enough to accommodate a man with a ladder. In big underground commercial system concrete tanks it is recommended that that a permanent stainless steel ladder is installed below the access point. Small amounts of organic and solid material will build up over time in the rainwater tank. A properly designed rainwater harvesting system will minimise the build-up of this material. Even a well designed system need to be cleaned out every 5 years. A rainwater tank must be easy to drain. 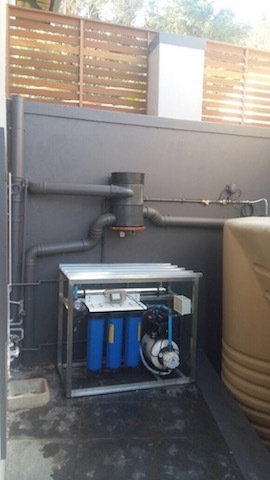 With above ground tanks the pump installation should be installed in such a way that it can be easily disconnected or the rainwater tank should have a dedicated drain valve. Below ground tanks will have to be pumped empty. 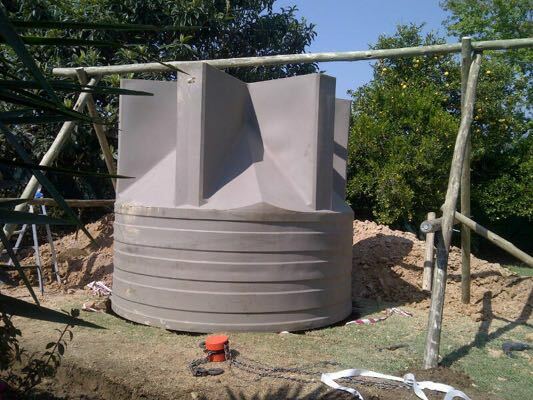 The last bit of sludge need to be scooped out manually and if a rainwater tank can be designed, built or installed with a sloped bottom it just make it easier to clean. There is always the risk that somebody can accidentally fall into a tank and drown in the water, especially small inquisitive children. Tank lids should be child proof and should never be left open. If not secured properly heavy winds can blow lids off above ground rainwater tanks. It is recommended that a manhole cover is fixed mechanically to the tank or requires and special mechanism to remove it. 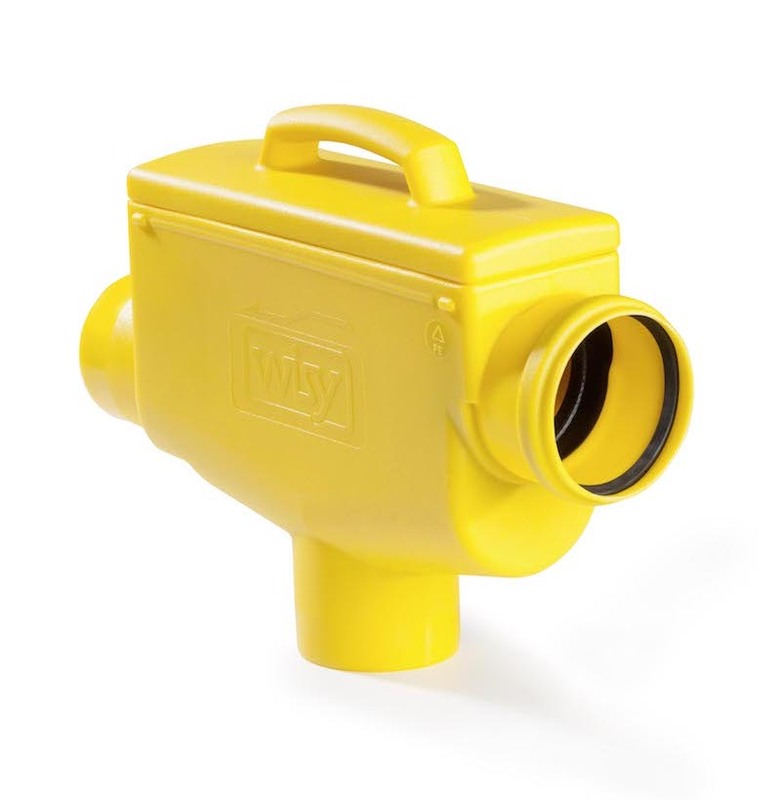 Visual access should be through a small hole no bigger that 200mm and should either be screwed on or clipped onto the tank. Never get into or work alone inside a tank, always have somebody outside helping you. 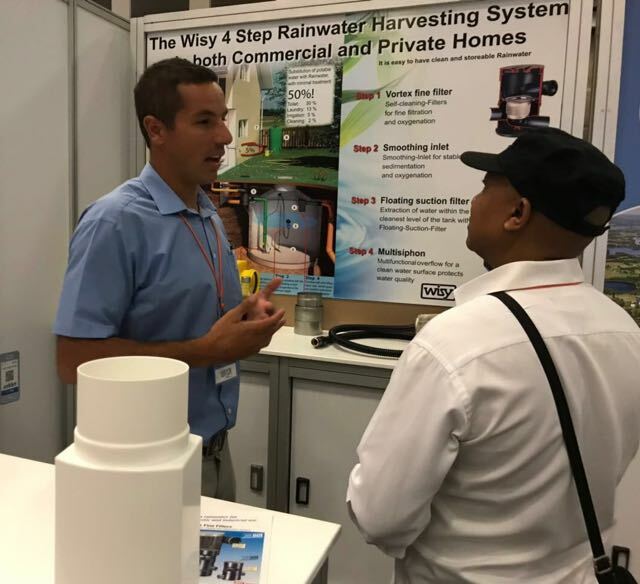 Rainwater harvesting systems, inflows and overflow pipes and covers should all be designed that it will prevent insects' rodents and birds from entering the tanks. Make use of stainless steel screens or mesh as well as goose-neck overflow designs. Clean these screens at least once a year and make sure that they are still working effectively. Design and install a tank in such a way that fresh air can be introduced into the head-space of the tank. The objective is to keep the water fresh by allowing oxygen to be absorbed into the rainwater on an ongoing basis. This improves the biological activity in the tank resulting in improved rainwater quality. Clean the vents regulary removing any debris or dust.